A question we get asked frequently is: ‘what kind of humidifier would you recommend?’. 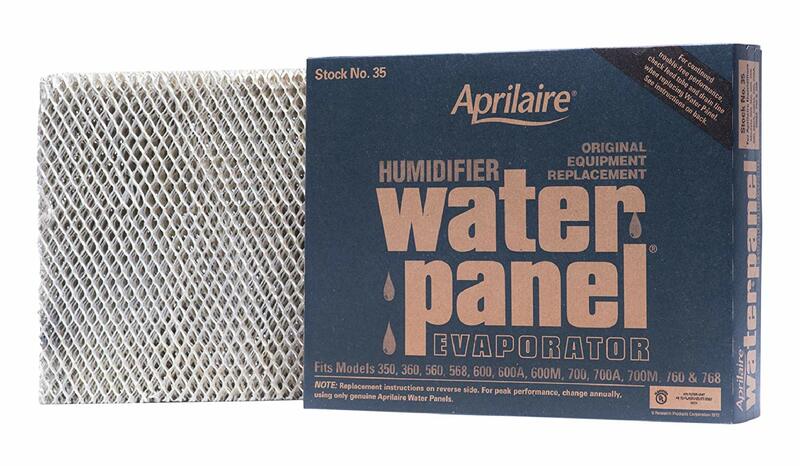 And 9 out of 10 times, we recommend the Aprilaire 600 Humidifier to our clients. In this blog post, we’ll break down the reasons why we recommend this particular humidifier so frequently. When humidity is called for in your home, the solenoid valve opens and allows water to run through the top of the humidifier, trickle down the pad, and drain through a tube on the bottom of the unit. Air from your furnace travels through the wet humidifier pad, which carries the humidity through your entire ducting system. There isn’t much you as a homeowner need to do to get the Aprilaire to work other than adjusting the humidistat to your comfort level. We’ve chosen Aprilaire humidifiers as our brand of choice because of their durability and tendency to last a long time. Most Aprilaire humidifiers come with a 5-year parts warranty, which the homeowner can use at any time within the first 5 years of installation. 3. It doesn’t require a lot of maintenance. 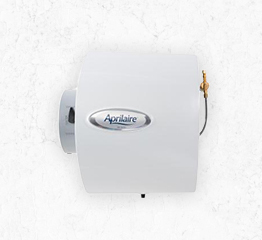 Rather than the old drum-style humidifiers that required a lot of cleaning and maintenance, the Aprilaire 600 humidifier is relatively low maintenance. About once per year, the evaporator pad will need to be changed for a fresh one. Other than that, expect to “set it and forget it” with this particular unit.